Regardless of the occasion, edible gift basket ideas are a personal and inexpensive way to show your loved ones how much you care. 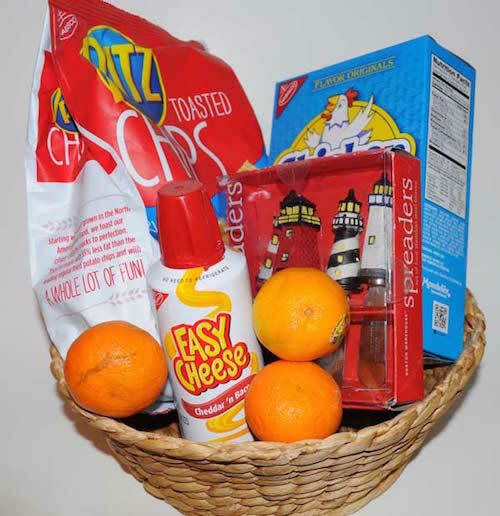 Edible gift baskets make great gifts because they are easily put together and can be completely customized to reflect the person to whom you are gifting it. and handmade shows you put a lot of time and effort into the gift. 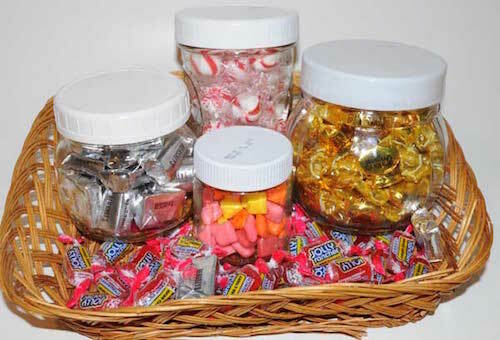 Find out what your hosts favorite candies are and fill a basket full of them. Leave them in their store bought wrappers or but them in decorative jars for an extra personal touch. As an alternative, if your gift recipient loves chocolate, fill the basket with that instead. 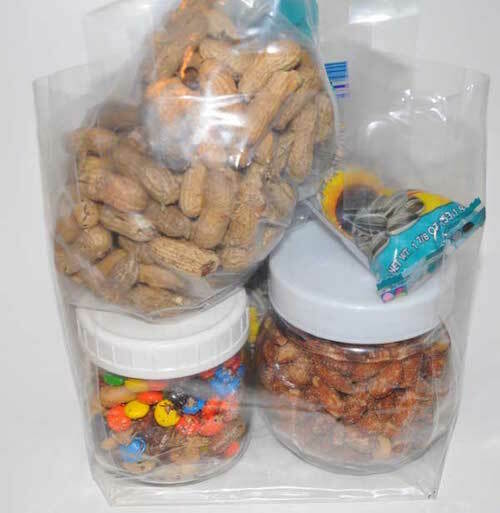 Fill small decorative jars or boxes with all different kinds of whole nuts, cracked nuts and trail mixes. Arrange in a basket and add a nutcracker. Great for summer parties, pack a basket full of citrus, grapes, a pineapple and even containers of berries. Add a container of low fat yogurt dip and voila! The taste of sunshine! 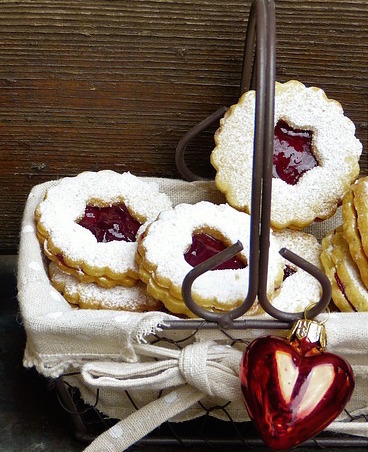 If you love to bake, consider packing your basket full of several varieties of traditional or holiday cookies and homemade breads. Not only will they be made with love but everyone will love you for sharing. Or create a cookie theme basket that they can bake and create their own easily. 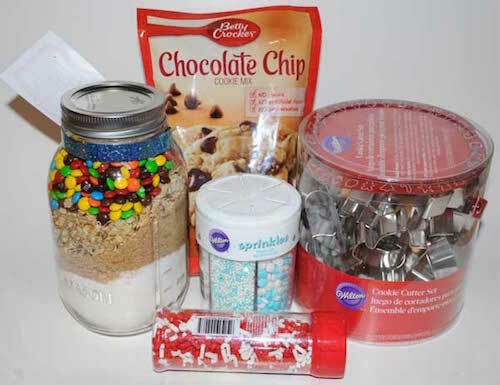 Include a cookie jar mix for them to make themselves. 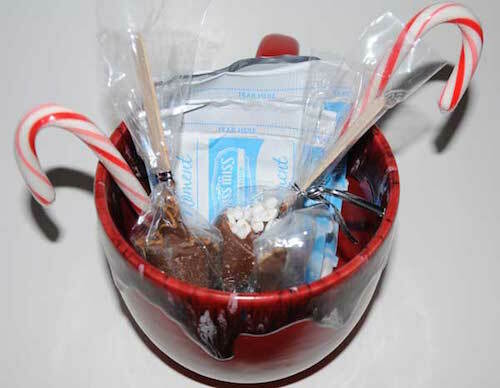 Use a fun mug as your basket and include some hot cocoa mixes, peppermint sticks or candy canes, chocolate spoons or cocoa stirrers. 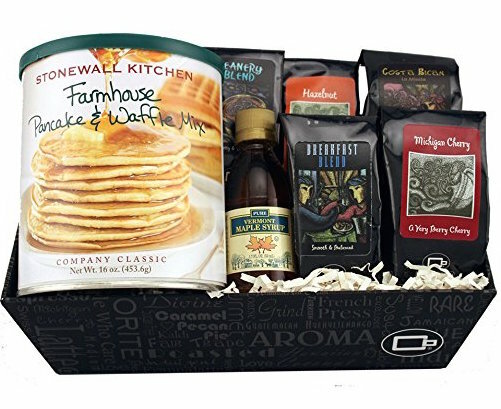 The perfect holiday or birthday gift for co-workers, recipe baskets provide all of the ingredients you will need to make a special meal or treat for your loved one and their family to enjoy. Include a cheese ball or cheese dip, crackers, fruit, cut up vegetables and a cheese spreader. Prepare the cheese dip recipe below and place in a fancy pint jar. This recipe also has festive colors of green and red which makes for a nice addition to a Christmas food gift basket. Mix ingredients together and place in a pretty pint jar or bowl. Chill for several hours. Attach a note to the basket to refrigerate cheese dip and Enjoy the Holidays. 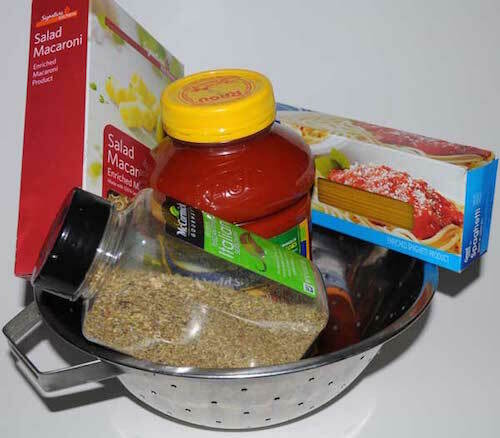 Stuff a basket full of different colors and shapes of pasta along with a few jars of homemade spaghetti sauce or a jar of Alfredo mix. For extra fun, include a jar of Italian seasonings. A fun strainer or serving bowl makes a nice touch to this Christmas food gift. 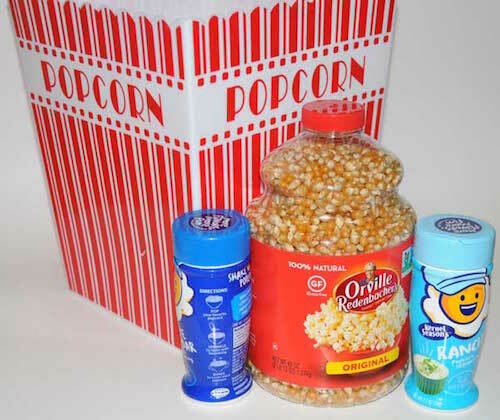 Include a fun popcorn bowl, gourmet popcorn kernels, seasonings and a DVD or movie rental coupon. Try some of these popcorn or caramel popcorn recipes and include a batch in the gift basket. Give the gift of a hearty breakfast with this unique variation on the edible gift basket. Include items such as muffin mix, pancake mix, homemade granola and fresh berries. You can make a delicious arrangement from our Christmas cookie recipes page, or try a cookie mix in a jar. (They can make cookies at a later time when the holidays are over.) See our jar mixes recipes. Add both fresh cookies and a cookie jar mix for double the enjoyment. 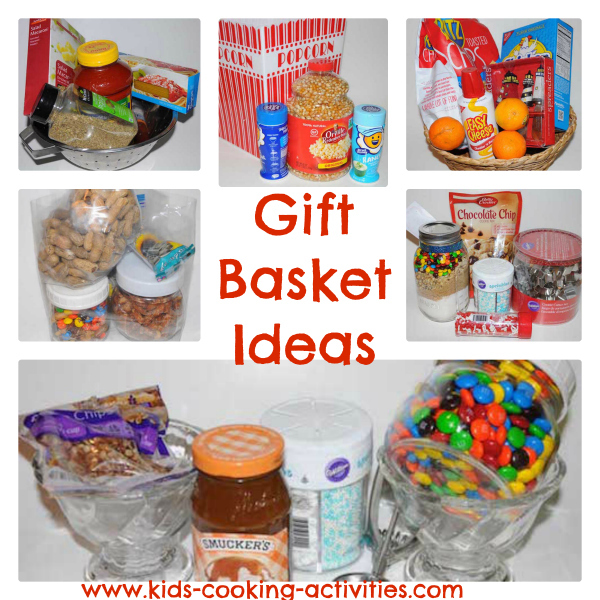 Include a fun milk container/pitcher or a cookie jar to the basket for a complete Christmas food gift. Include this onion cheese dip mix with a bag of chips or vegetables and a new family game or a drink mix to complete this food basket idea. Mix in bowl 1 Cup sour cream and contents of onion cheese dip mix. Chill 1 hour. 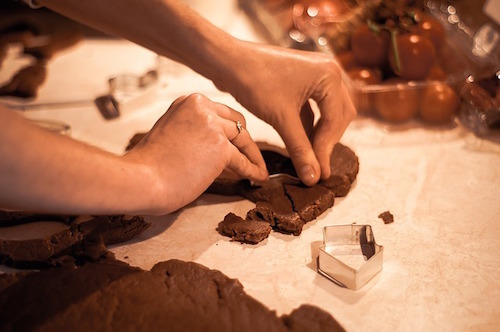 Many families don't have the time to make gingerbread houses in the bustling Holiday season. 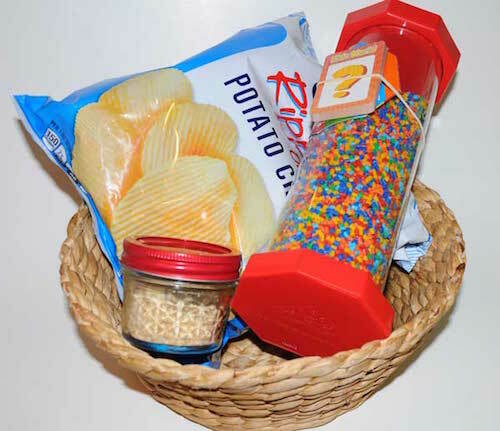 This basket can help a family put one together without all the preparation work. Include in your basket homemade gingerbread (find the recipe here) that they can assemble, candies for decorating, and frosting or the frosting recipe they can make on their own. Edible gift basket ideas dont always have to be for meals. Try filling your basket full of all the items you need to make a special ice cream sundae. 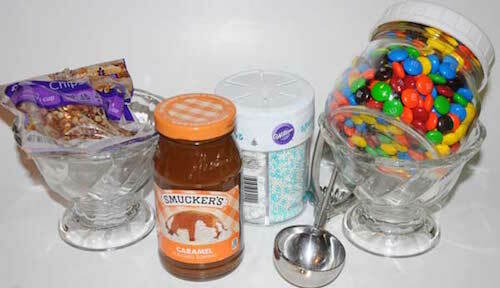 Include candies, chocolate or caramel ice cream sauce, sprinkles and even cherries for a unique one of a kind gift. This homemade fudge sauce poured in a nice jar, decorative ice cream bowls, or an ice cream scoop can finish off the edible gift basket nicely. In a saucepan heat ingredients together, when butter is melted turn heat down to low. Continue cooking until sugar is dissolved. Allow to cool and pour into decorative jars. Attach a label to warm up in saucepan. Edible gift basket ideas are not hard to come up with and make for perfect gifts for almost every type of person. 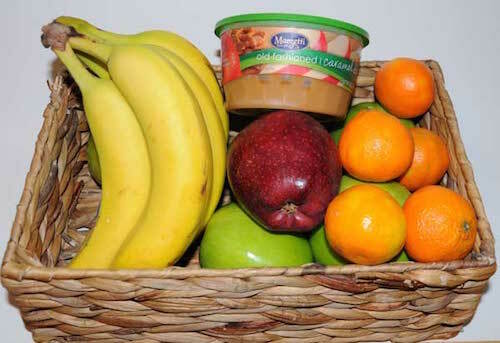 Remember as you plan your basket to keep in mind the tastes and interests of the person you are giving it to. This type of gift is an excellent way to show your loved ones you care without having to spend large amounts of money. 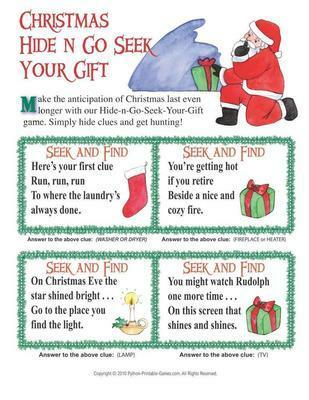 Add some printable fun game! Back to Seasonal Activities from this edible gift basket ideas page.